Pre-bookable excursions: Herculaneum. 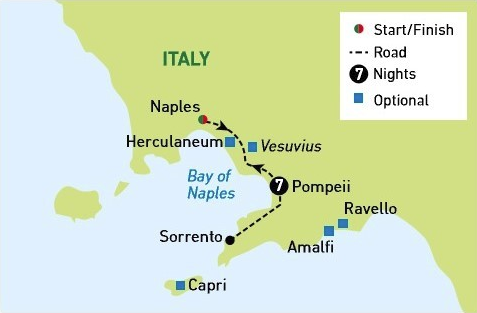 Mount Vesuvius & Amalfi & Ravello can be pre-booked as a package from just $249. Built in the 19th century, this elegant Italian villa has been restored to its former glory and is now a family-run hotel located in the historic centre of modern Pompeii. Facilities include a roof-top terrace with panoramic views of Mount Vesuvius, a solarium and mini hot tub, typically open June-Sept, bar/lounge and restaurant. Guest rooms feature private facilities, air-conditioning, hairdryer, T.V., Wi-Fi and mini-bar. Balcony Rooms are available on request from $129 for the duration of your stay. Please speak to a Tour Advisor for details. Few places have captured the imagination quite like Pompeii,and today we will discover its sights. 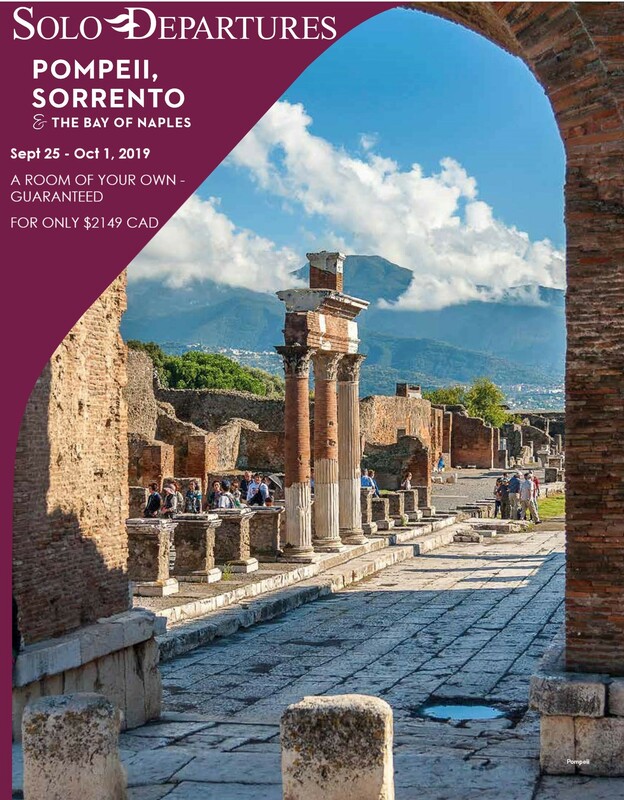 Our explorations begin with a walking tour of the modern city visiting the Shrine of Our Lady of Pompeii, before our attention turns to the remarkable archaeological site. Pompeii's sheer scale is immense and on our guided tour you will be able to imagine what life was Iike before Vesuvius erupted in 79AD, smothering the town and its inhabitants in hot ash. As we wander through the streets we'll see villas decorated with frescos and brightly coloured mosaics, the remarkable Roman baths and spectacular amphitheatre.